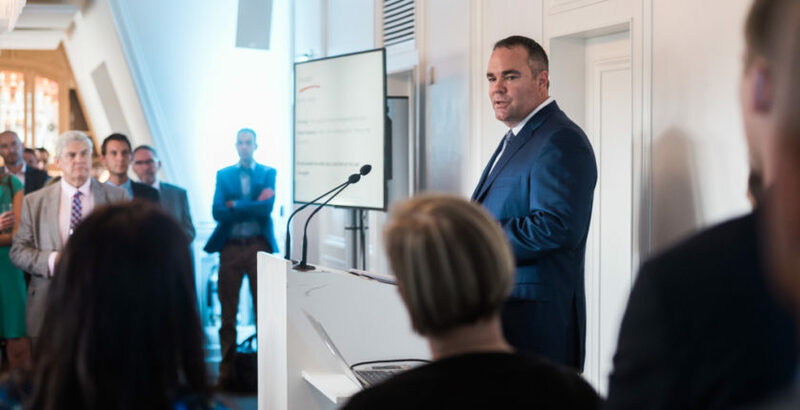 HC-One CEO Justin Hutchens highlighted the importance of ideas and innovation during yesterday’s CHP’s Leaders in Care event in London. The HC-One boss spoke to an audience of senior executives at the event held to recognise best practice and innovation within the sector. The HC-One boss highlighted the care home provider’s Make a Wish initiative, which saw a resident recently go sky diving, and its use of Virtual Reality to provide well-being activities, as key aspects of innovation. Under a new initiative, HC-One each month asks staff, residents and family members for their ideas on ways of improving care quality. One idea, which has been adopted across the business, is for all staff to stop what they are doing at 3pm and spend half an hour with residents.